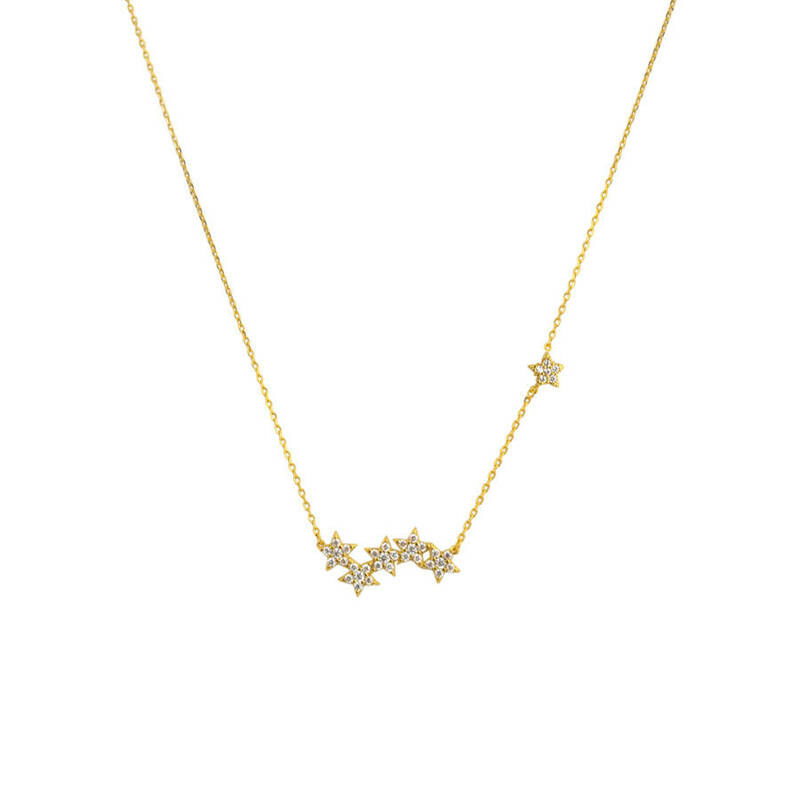 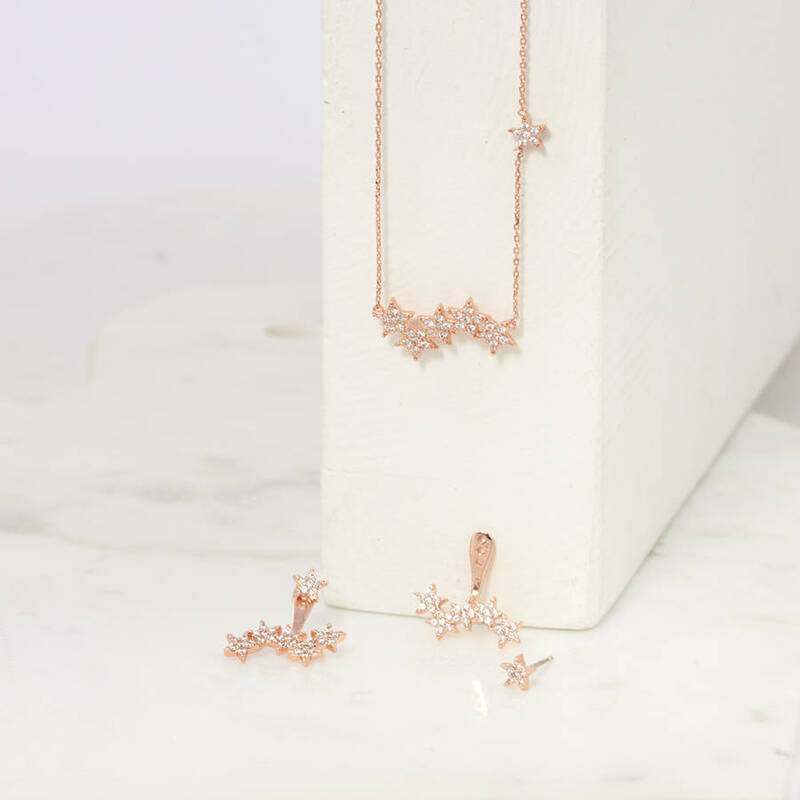 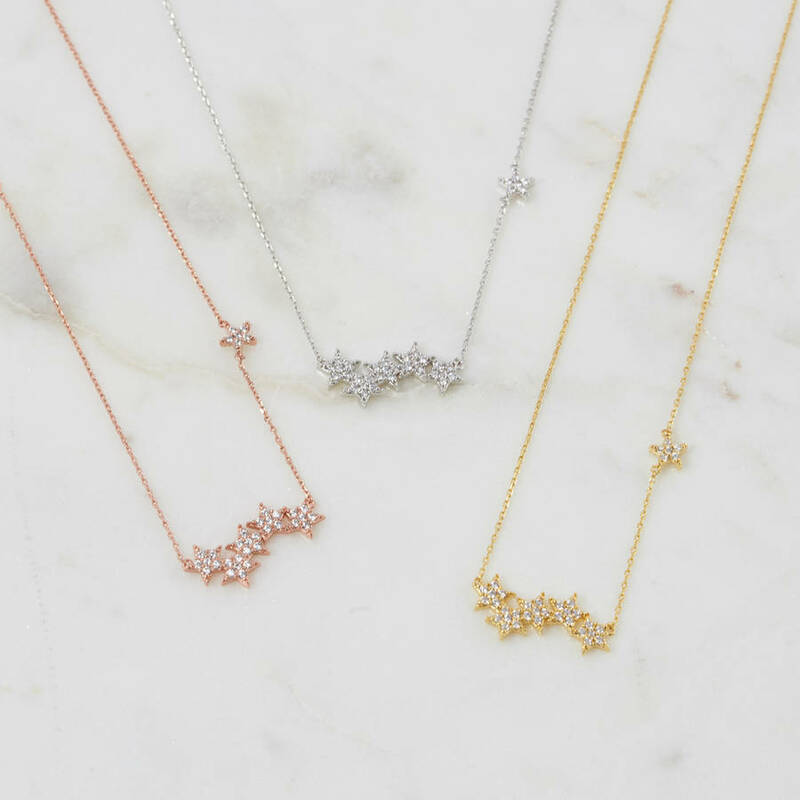 A lovely, delicate Starburst necklace - like having your own star constellation around your neck! 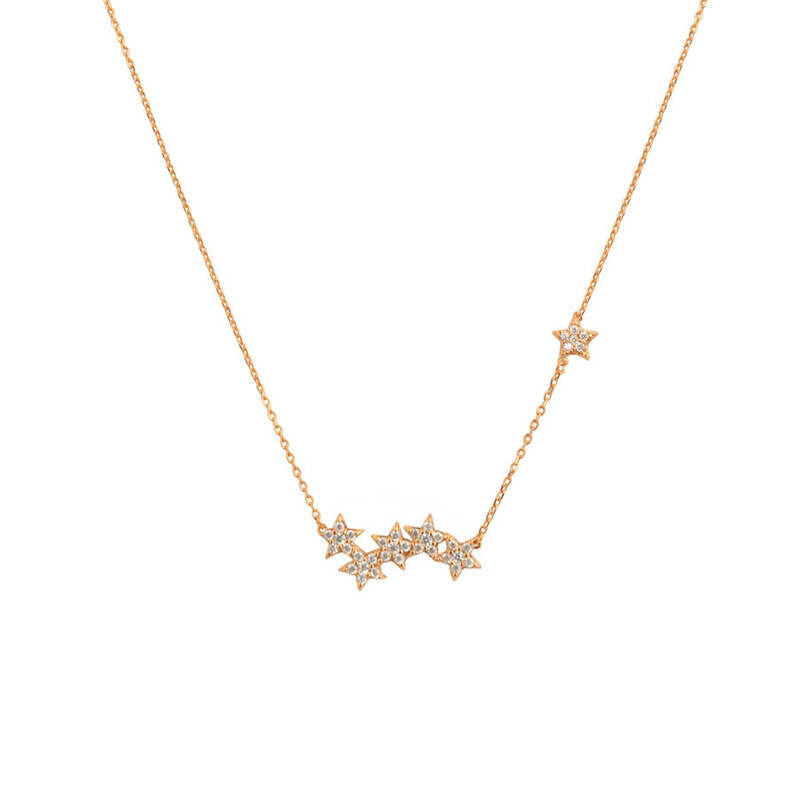 This classic look necklace features 5 gorgeous stars clustered together with one further star following behind. 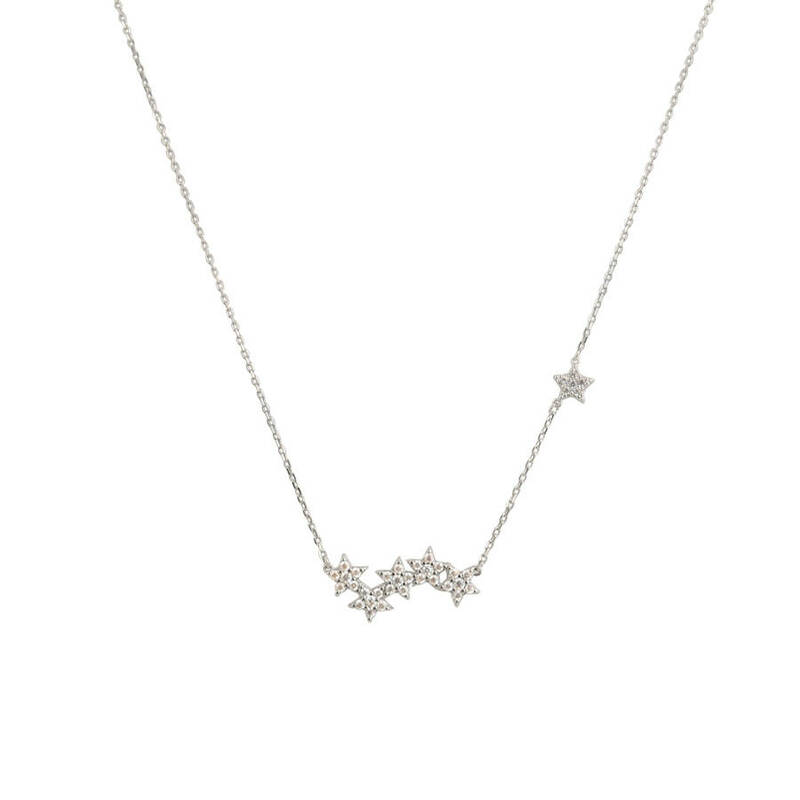 The little star on the side is double sided with Cubic Zirconia each side - so even if turned around it still shines on your neck. 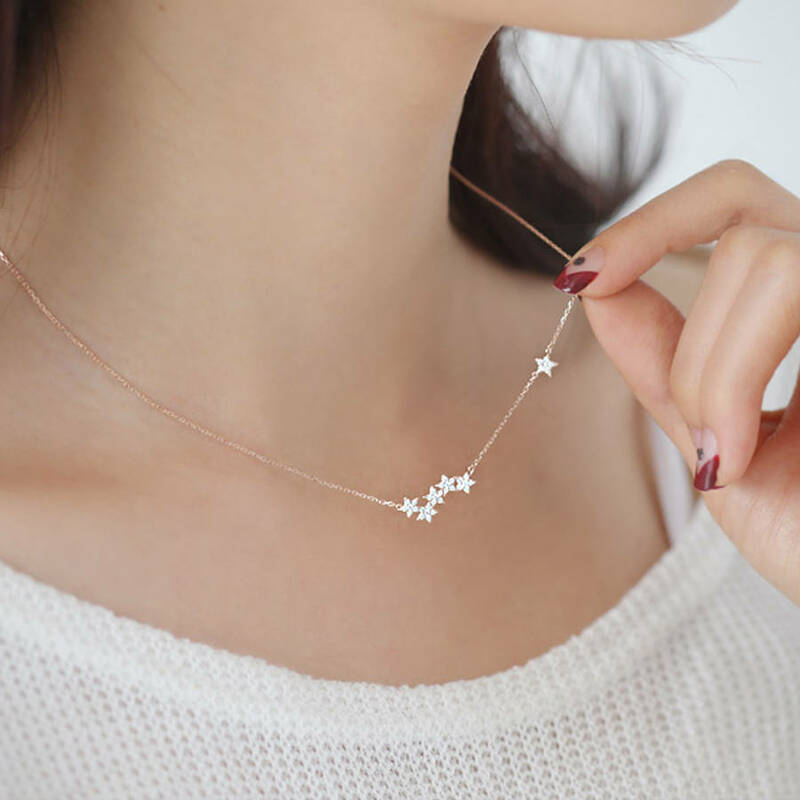 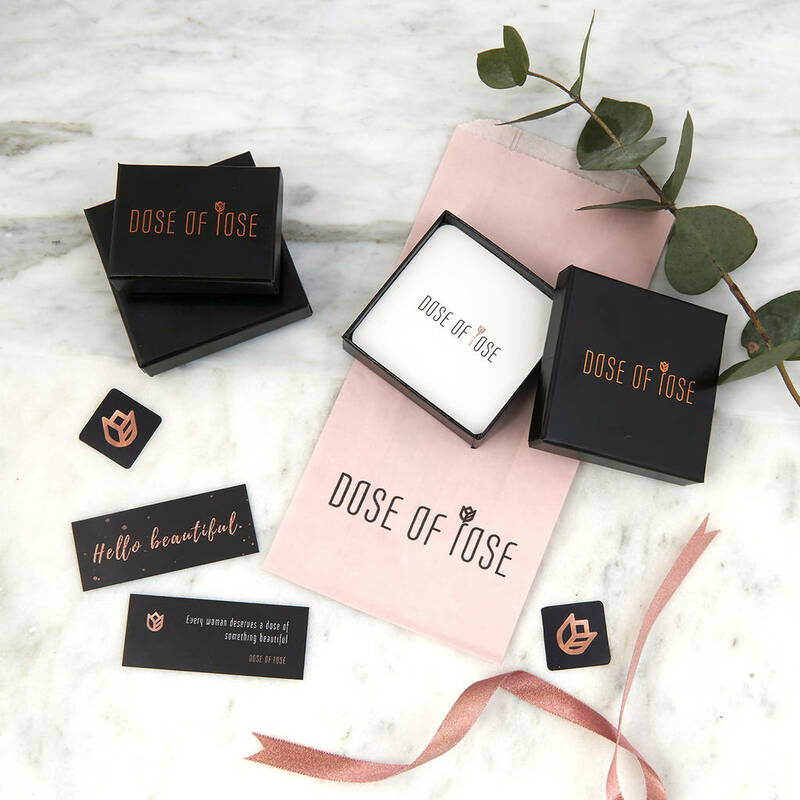 A very delicate and oh so sweet necklace. 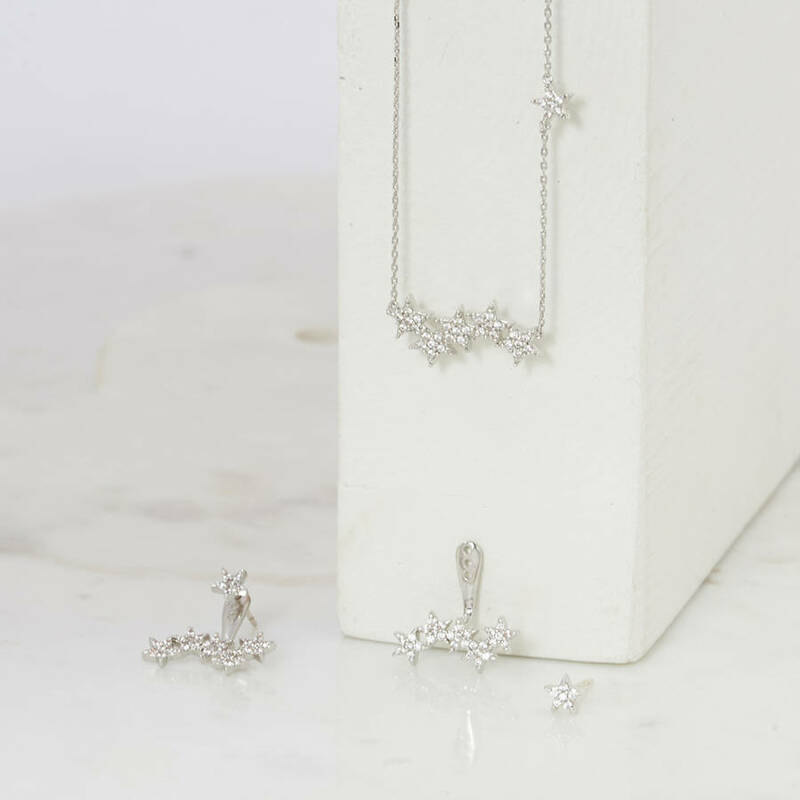 We have matching two-way earrings available to complete the look - available for £20 if purchased with the necklace (normal price £25). 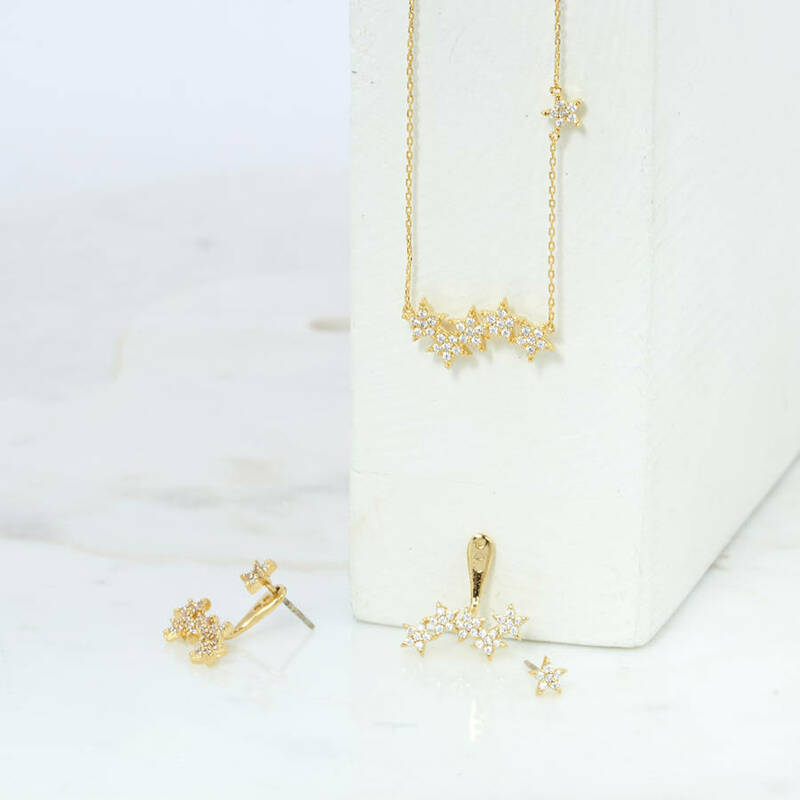 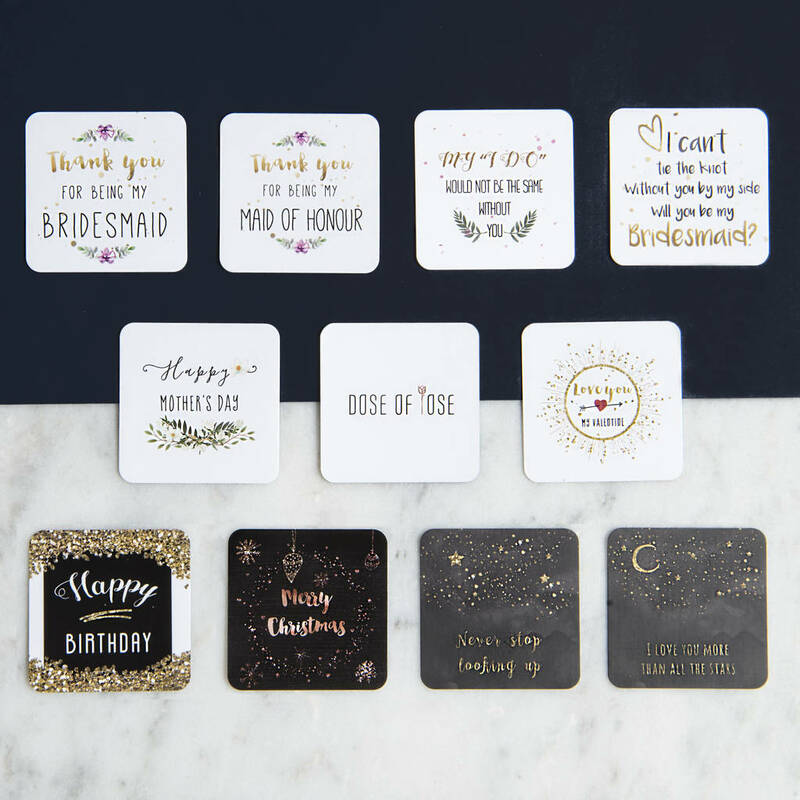 Gold, White Gold, and Rose Gold plated brass, and Cubic Zirconia stones. The chain is 43.5cm total length (with about an extra 2cm extension chain).